Thank god for the Docs, I was very almost a walking advert for Miss Selfridge there. Just a casual outfit today from me, which I wore during the week to visit my Mum (who took these photos/adopted the role of location scout for me). I've only ever worn Doc shoes, never boots, and now I see what I've been missing out on - I just want to stomp all over the place in them. I'm almost (almost) willing the rain to come back so that I can walk through a puddle in them, all high and mighty, coming out with completely unscathed feet at the other end, but in reality I think if the rain came back I'd just end up in a corner crying. Anyway, as always, this has taken a turn for the weird so I think I'll tie it up there. In other news, I've just added half (well..) my wardrobe to my blog sale, which you can check out here. I'm still yet to own any docs myself, absolutely love this colour! Every time i see you in this coat something inside me dies knowing I didn't buy it when I had the chance! Absolutely love that coat,looks so warm and cosy! I love love love docs! Not brave enough to try them out myself but maybe one of these days when I gather up the courage! I love the docs and the jeans! :) They're so prettttttyyyy. I didn't wear any of my faux furs this winter :( such a waste. I love the colour of your docs! Don't beat some fur and a pair of DMs. I love the fur jacket paired with the burgundy docs! Gorgeous combo! Love the docs! The boots are great aren't they! Lush outfit, gorgeous as always! Awesome look! 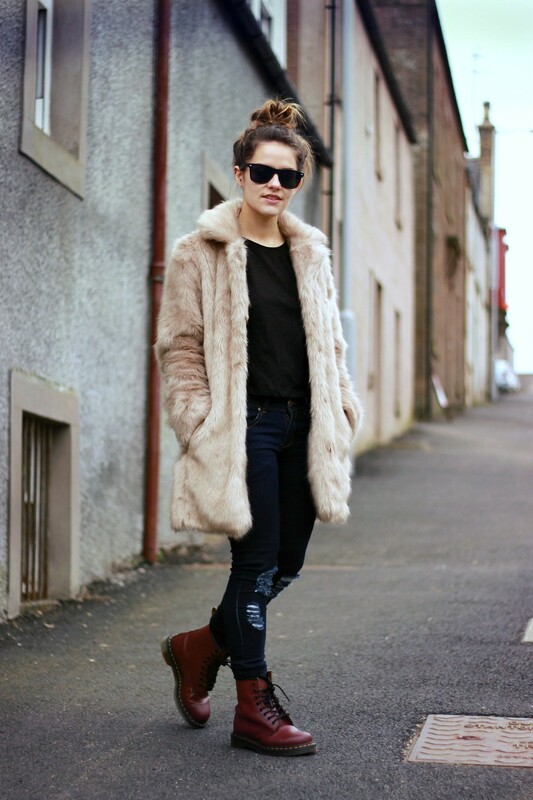 I love that you styled that cool fur coat with doc martens to keep the look edgier, instead of glamorous! Cute! 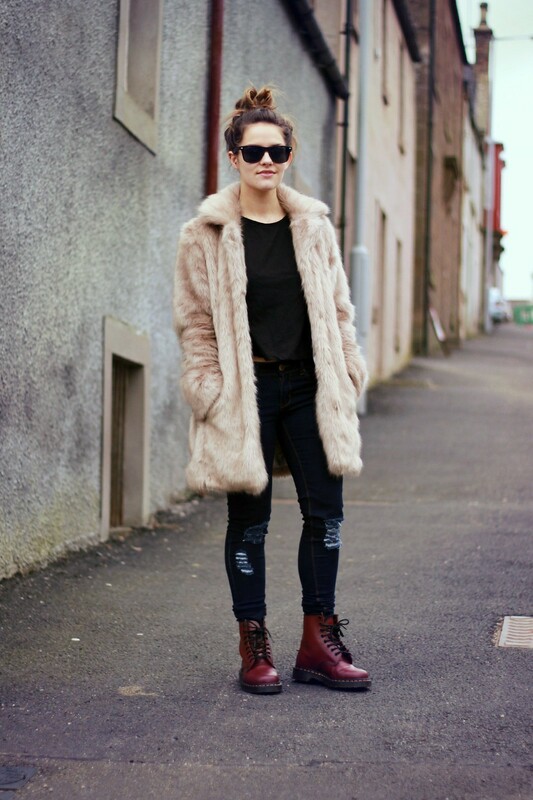 Love the fur coat and the burgundy Dr Martens! 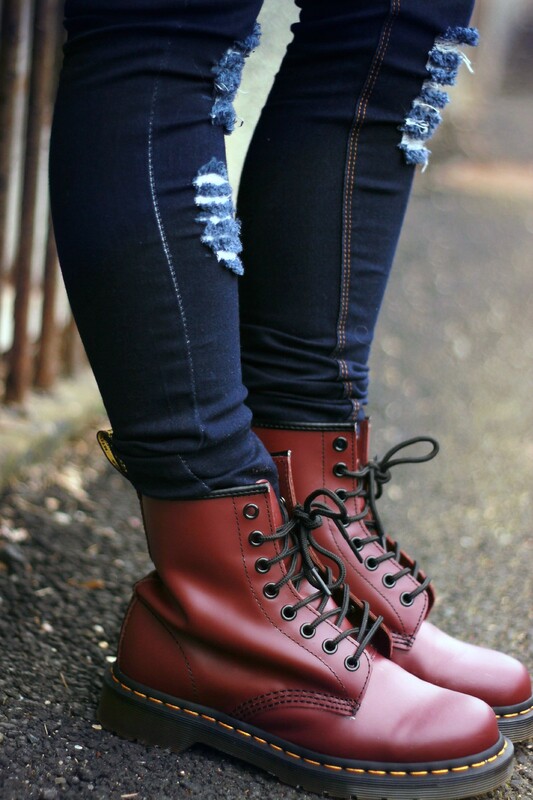 I looove these Docs! I have the heeled boot version but I need these ones. They are the comfiest things ever (after you've worn them in). You look adorablz! Your posts are always so effortless - love your style.